I’ve got a short story coming out next month! I was accepted into a fairy tale anthology with other indie authors. Tales of Ever After will be available on August 3. Here’s a look at the gorgeous cover and the list of stories available in this exciting collection. As you may be able to tell from the titles, this is a mixture of both fairy tale retellings and original fairy tales. I’ve read several of these authors’ works before through things like previous Fellowship of Fantasy anthologies (this is the fourth one), and they’re all very talented. 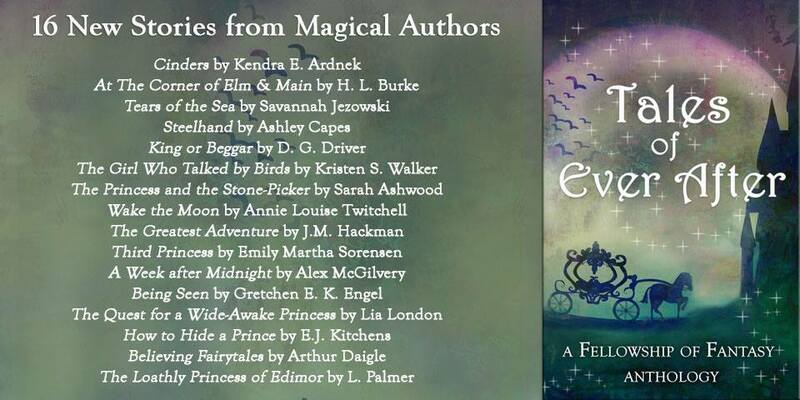 I’m excited to be part of this collection, especially because I’m a life-long lover of fairy tales! There will be lots more info about the book coming out the week of the release, too, when we kick off a blog tour with giveaways! Now, let me tell you about my story. It’s an original fairy tale inspired by fairy tales about talking animals. 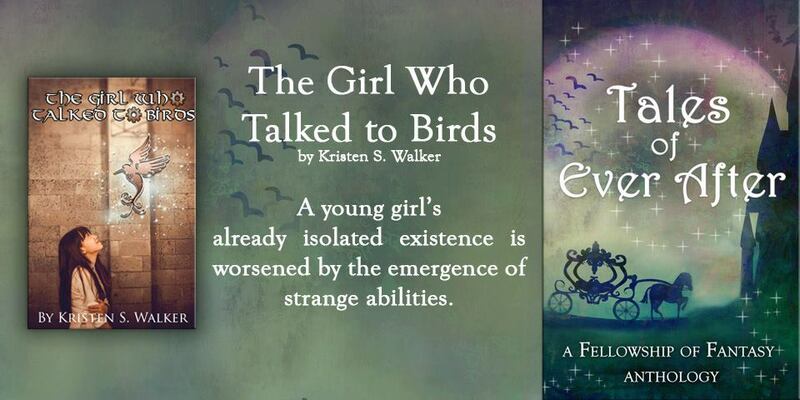 “The Girl Who Talked to Birds” is actually a prequel of sorts for my Divine Warriors series, an introduction to Kyra before she made friends with Riwenne and the others. It explains why her childhood was a little different than the other girls and how those struggles shaped who she is. This story is exclusive to the anthology.